Some of you might remember the slogan Wendy’s used in 1984 with Clara Peller exclaiming “Where’s the beef?” As a woman that loves to eat beef I am asking that question in regards to the new recommendations to the 2015 Dietary Guidelines . The new recommendations are not recognizing that beef can play an important role in a healthy diet. 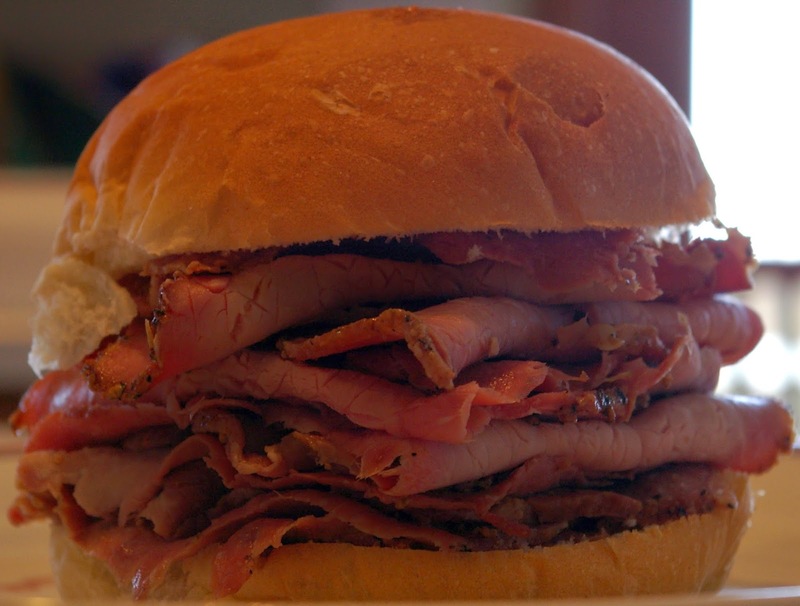 Steve is famous for his BBQ beef sandwiches. I have to admit I have not always appreciated the nutrient dense food that beef is. When I was taking aerobic dance classes in the early 1980’s I was eating salads and avoided eating meat. I had the misperception that meat made people fat. I struggled to be satisfied with the foods I was eating which meant I usually reached for sugar loaded snacks to get me by thus sabotaging any attempt at weight loss. I gradually came to appreciate the nutrients in calories and how important that is when maintaining or trying to lose weight. 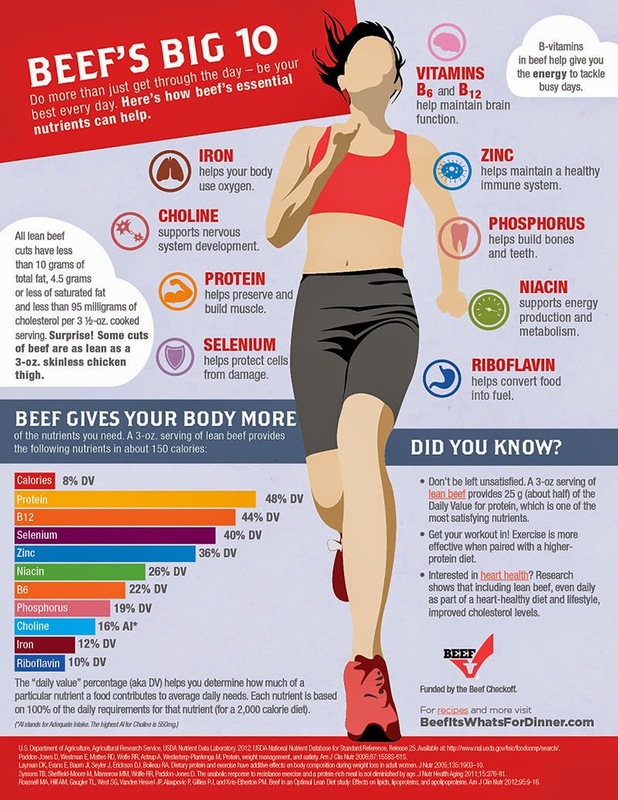 Ironically, no pun intended, beef is quite loaded with nutrients important to good health. If you are concerned about building muscles, maintaining brain function, having a strong immune system, utilizing oxygen more effectively, increasing your energy, protecting cells, supporting your nervous system, maintain strong bones and teeth and help in converting food to energy than you would benefit from keeping beef in your diet. 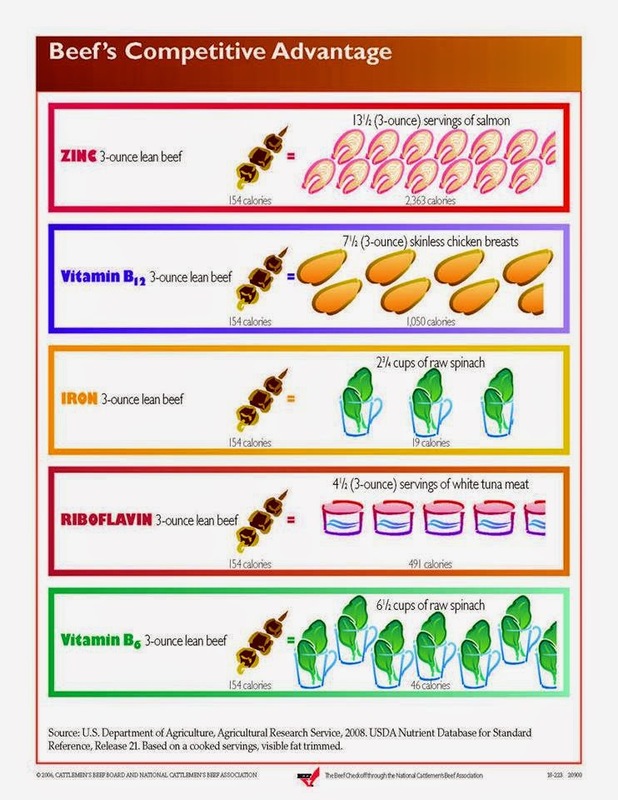 If you compare beef to other foods you will see how much you would have to eat to get the same amount of just one nutrient versus the big ten in beef. A 3-4 ounce serving of beef is about the size of your iPhone and that will give you those top ten nutrients including HALF your daily recommended amount of protein needed. A four ounce burger at around 170 calories paired with tomatoes, lettuce and cheese is a great alternative to a sugar cookie that has the same amount of calories and very little nutritional value. As a mom on a farm that raises cattle I was fortunate that our children were able to enjoy beef as part of their diet. Our children were active, healthy and have become successful in a variety of career paths. 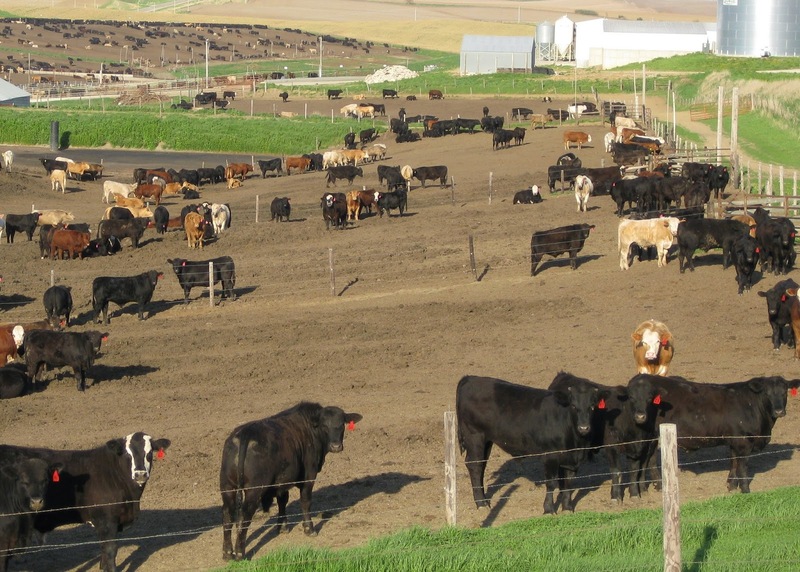 I am also active in the care of our cattle on our farm and have come to appreciate the role beef plays in agriculture. Where’s the beef? It’s here and I hope it’s on your plate tonight!